Kevin and his wife Natasha are the owners/directors of Kupugani Multicultural Summer Camp, the only black-owned, private, residential camp in the United States. The proud papa of a teenage son, Kevin is also a published author, former attorney, former semi-professional tennis player, and backpacker. Kevin has traveled to over 50 countries throughout the Caribbean, North and South America, Africa, and Europe. 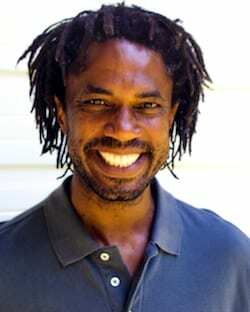 A Harvard University graduate in psychology and the Canadian-born son of Jamaican immigrants, Kevin has worked with children professionally for over thirty years. He has been in the camp business since 1990, when he first worked at a girls’ camp in Wisconsin. After earning his BA at Harvard, Kevin continued working as an assistant camp director, backpacked across Europe (shortly after the fall of the Berlin Wall), traveled throughout Africa, and wrote Not Yet African, a book chronicling his African adventures. While gaining valuable experience at camps from Pennsylvania to California, Kevin earned his JD from the University of California-Berkeley School of Law. He went on to work for a top-100 law firm, where he gained additional expertise in management and organizational psychology. Kevin is a past VP of the Board of Directors of the American Camp Association, Illinois Section. He has been invited to speak at regional and national conferences on diversity, camp, and the intersection of those two topics. Besides spending time with his wife, Natasha, and adventurous son, Mico, Kevin enjoys playing goalie on his men’s ice hockey team.